Electric vehicle (EV) power electronics manufacturer REO UK has released an infographic explaining the three key areas for improvement in EV components. The infographic is available to download for free here and aims to help electrical and design engineers choose high quality electrical components to improve the efficiency and effectiveness of their upcoming EV projects. REO UK’s infographic serves as a visual reference piece for three areas of electrical improvement that the company has identified in the EV market. The infographic highlights these areas and how electrical components such as power filters and braking resistors can help to improve the energy efficiency and reliability of EV systems. “It’s evident that industry and society are both in the early stages of a shift to electric vehicles,” explained Steve Hughes, managing director of REO UK. “With that said, there are still a lot of areas that can be improved to truly develop an effective, efficient and environmentally-friendly mode of transport. Electrical components are one of the areas in which we see the most immediate potential, both in terms of vehicle performance and power reliability. “For example, something as simple as a design engineer selecting the right type of braking resistor for an EV’s braking chopper can significantly affect the overall energy efficiency of the vehicle. By using a water-cooled power resistor, the excess braking energy can be recovered and used in other core processes, such as heating the cabin, or it can be dissipated safely without damaging nearby components. The EV market is growing rapidly in the UK, with online resource Next Green Car noting that registrations in the UK reached an estimated 166,000 in August 2018. This marks an increase of more than 4,600 per cent since 2013, when the number of registered EVs was 3,500. Despite this growth, REO UK’s recent whitepaper on the electric and hybrid vehicle industry noted that more still needed to be done to safely facilitate future adoption. 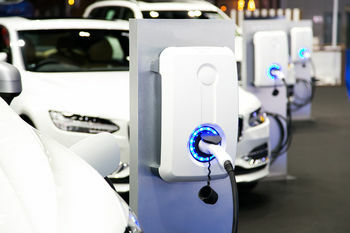 The company referenced the number of public charging stations and the quality of electrical components as key factors. REO UK’s infographic is available to download here. For more information on the company’s offering for the electric vehicle market, call REO (UK) today on +44 (0) 1588 673 411.